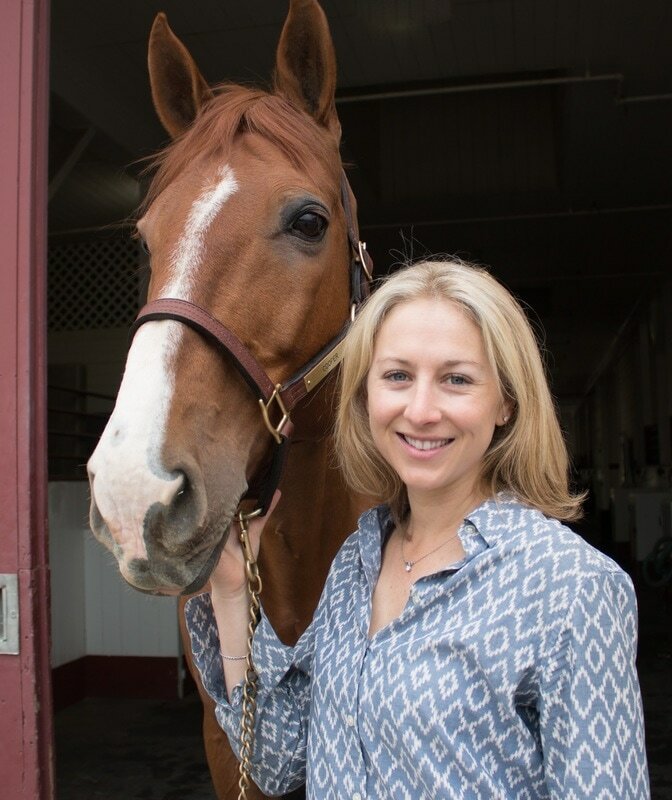 About Us - STARWOOD EQUINE VETERINARY SERVICES, INC.
Dr. Kelly Zeytoonian moved to the Bay Area in 2009 after earning her Doctor of Veterinary Medicine from the Virginia-Maryland Regional College of Veterinary Medicine. Dr. Zeytoonian has a special interest in lameness and diagnostic imaging as well as preventative medicine. She is a member of the American Veterinary Medical Association (AVMA), the American Association of Equine Practitioners (AAEP), the California Veterinary Medical Association (CVMA), The Northern California Association of Equine Practitioners (NCAEP) and The International Society of Equine Locomotor Pathology (ISELP). Kelly has participated in a number of equine disciplines, including: trail riding, fox hunting, endurance, and currently hunter/jumpers. This variety has led to her interest in performance horses and sports medicine. 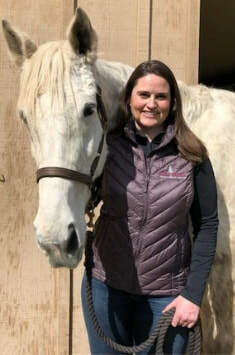 Kelly is proud to serve on the Menlo Charity Horse Show Committee and Woodside Livestock & Equestrian Heritage Committee along with acting as a Board Member of the NCAEP and B.O.K. Ranch. She is also an instructor for Foothill College's Veterinary Technology Program. In her spare time she enjoys running, hiking, and skiing along with any other outdoor activities she can do with her dogs, Sadie, Zorba and Andy. Dr. Kristy Moding grew up in the foothills of the Rocky Mountains in Boulder, Colorado riding in the Hunter-Jumper show circuit. 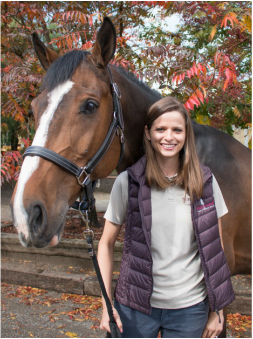 Kristy graduated from North Carolina State Veterinary School in 2011 with a focus on equine medicine. She completed further training after vet school under the guidance of a board-certified internal medicine specialist. Her focus has been on performance horse soundness including working with farriers to optimize hoof care and improve performance. She also has a special interest in ophthalmology and dentistry. Kristy is passionate about travel and the welfare of working equids and has participated in yearly veterinary volunteer trips to provide free care to horses in Nicaragua. She also continues to ride in the jumper ring in her spare time. Dr. Hanes is a 1978 graduate of the University of California, Davis following his undergraduate studies in physiology at the same school. He spent one year at Texas A&M University as a large animal intern, then 3 years at The Ohio State University as a resident in equine surgery. Dr. Hanes then worked at Southwest Equine Hospital in Scottsdale, AZ but eventually returned to California and became the sole owner of Briarwood Equine Clinic, located in Woodside, in 2002. In August of 2018 Briarwood Equine joined Starwood Equine Veterinary Services where Dr. Hanes continues to practice general equine medicine. When not caring for patients you can usually find him on his road bike. ​In her spare time, Dr. Ashley enjoys spending time at the barn with her daughter, who is learning to ride, and riding and competing in hunter/jumpers on her VT-bred Hanoverian. Sue recently graduated from the Foothill College Veterinary Technology program and is receiving her RVT license. She is a member of the California Veterinary Medical Association, National Association of Veterinary Technicians in America, and American Association of Equine Veterinary Technicians. She grew up in upstate New York where she started riding at 7 years old. Her family moved to southern California where she continued riding and was a member of 4-H and IEL in high school. She attended UC Davis and received her BS in Animal Science with Equestrian Emphasis while also working at the Equestrian Center. In her free time, Sue enjoys playing with dog Winston, arts and crafts, and recreational sports. Sue is thrilled to be a part of the Starwood Equine Team and to continue learning about her favorite field. Addy recently graduated from The University of Montana Western where she received her Bachelors of Science in Natural Horsemanship with a minor in Business Management. Addy embraced the program which required hands on experience training horses combined with the curriculum covering equine science, care, and management. She views her time in Montana as an incredible learning experience that fueled her interest in equine behavior, nutrition, and performance issues. Growing up in the Bay Area, Addy started riding at a very young age. Her hobby quickly turned into a passion that grew into career aspirations. Addy gained practical experience by volunteering and working at local barns, along with being a member of the Stanford IEA team. She is a certified CHA instructor and in her spare time enjoys riding and instructing both English and Western disciplines. Addy also enjoys travel, all outdoor activities as well as spending time with family and friends. Addy plans to enhance her skills and knowledge with continued education in all facets of the Equine Industry. 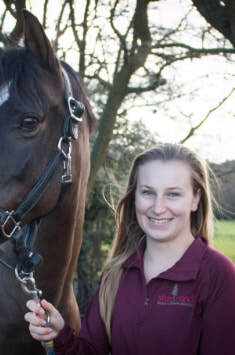 She is very excited to be a member of the Starwood Equine team and is looking forward to learning and growing as a contributing member to the local equine community. Katie attended Gonzaga University in Spokane, WA and graduated with a Bachelor of Business Administration with concentrations in Marketing and Human Resource Management. 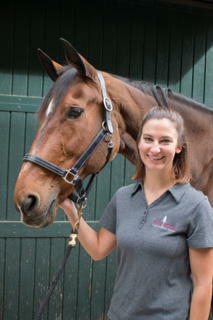 Katie is excited to be part of the Starwood team and further her knowledge of equine medicine. Born and raised in San Francisco, Katie grew up riding hunter/jumpers in the Bay Area. Katie has also worked on various hunter/jumper shows in Northern California, and spent a summer working dressage and hunter/jumper shows outside of Chicago. Her primary focus while working many of these shows has been to assist with hospitality, awards, vendors and sponsorships. In her spare time she enjoys traveling, cheering on her favorite sports teams, and doting on her New Zealand Thoroughbred mare Lola.